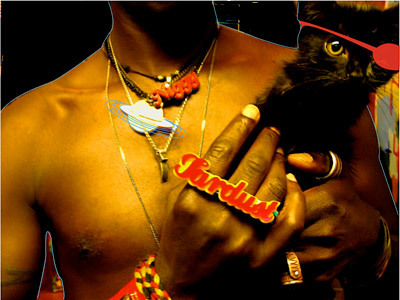 As many of you know, I've been working closely with Saul Williams on his new record. We've spent many hours together in hotel rooms, busses, backstages and studios around the world working on something we knew was great. This is the most involved I've been with any project outside NIN since Antichrist Superstar, and I've been impatiently waiting for the chance for you to hear it. The Inevitable Rise and Liberation of NiggyTardust! has arrived! After my own recent dealings with record labels we decided to release it directly to you. Head over to www.niggytardust.com for all the details. Register now and you can download the record November 1st. Working on this project was a real pleasure. Saul was interested in breaking boundaries / crossing genres / defying expectations and we learned a great deal from one another in the process. When asked about the sound of the record, I've had to resort to "... I really don't know HOW to describe it." That's a good thing more than ever these days. A word on the way we've chosen to release this. There are obvious similarities in how Radiohead just released their new record and the way we've chosen to. After thinking about this way too much, I feel we've improved upon their idea in a few profound ways that benefit you, the consumer. You obviously will be the judge of this in the end. One thing that IS very different in our situation is that Saul's not the household name (yet!) that Radiohead is, and that means we need your support on this more than ever. If you like what you hear, spread the word.